Amidst the current focus on land in South Africa, here in KwaZulu-Natal there are many examples of transformation by commercial farmers across the province, who understand that the future success of the sector, depends on true and meaningful change, and who despite the furore around the slow rate of the transferal of land to previously disadvantaged people, have quietly taken on the responsibility and have been driving change at grassroots level themselves. Some of this change has been undertaken by individual farmers together with their employees, while others have formalised their initiatives and are working together with neighbouring farmers to uplift entire communities. Many Farmers’ Associations in KZN have also identified the need to take responsibility for transformation, employing experts in their fields to drive this change in their communities. But it is not always the formal initiatives which bring about meaningful change; change and the real improvement of lives can also happen when and where we least expect it. 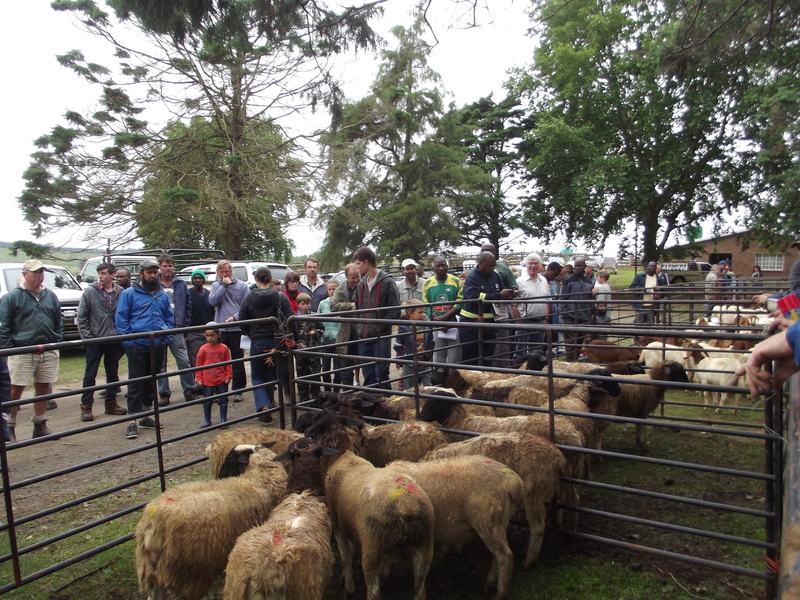 An example of this, that is changing lives, perceptions and bringing together formally separated farming communities in KZN, are stock sale auctions that take place across the province several times a month. Previously, an avenue used predominantly by commercial farmers, livestock auctions are now also giving the informal sector access to highly competitive market-related prices and unwittingly bringing together all farmers who have a common ground – their livestock. The driving force behind this groundswell are local famers’ associations, AAM Livestock Agents & Auctioneers and The Department of Agriculture and Rural Development (DARD). “We have all been working on introducing small scale farmers, traders and informal buyers to the formal stock sales. 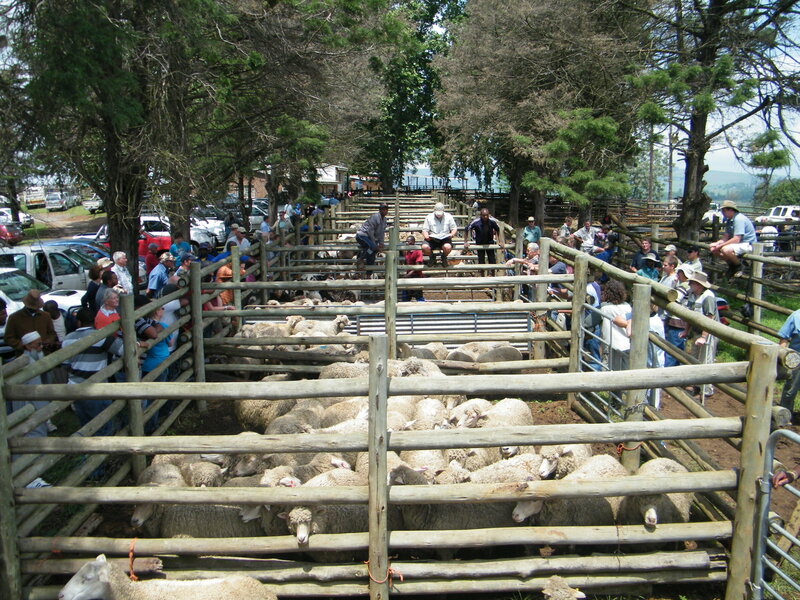 The bringing together of large and small sellers and buyers benefits all parties in the commercial chain, as more cattle are offered, and more buyers attend the sales. DARD have also focused on assisting and advising small scale farmers, and encouraging them to formalise themselves by setting up local farmers’ associations and working constructively with the auctioneers,” said Karen Melouney from AAM. 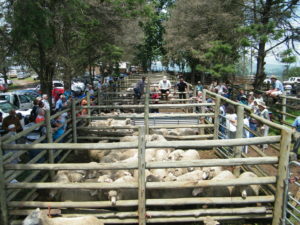 “Through the networks established at livestock auctions, we have been able to link small-scale farmers to stud breeders. Again, as this initiative is commercially driven, sound relationships are being formed between stud breeders and small-scale farmers, where both parties are benefiting. Progressive small-scale farmers are tapping into the knowledge base of large commercial farmers, skills and experiences are being shared, and the small-scale farmer is being recognised as an important buyer, and therefore critical to the long term sustainability of the commercial breeder,” said Melouney. 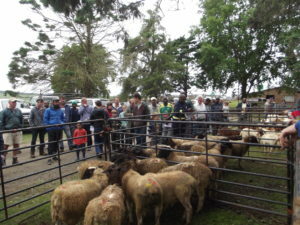 And it appears to be working; not only giving farmers and traders from rural areas access to the same markets as their commercial counterparts, but the stock sales have unintentionally connected all farmers who deal with the same issues such as stock theft and other livestock challenges, by building relationships and providing them with the opportunity to connect. “At a financial level it is about understanding the value of your product and about exposing everybody to the same markets. At a social level, the auctions have brought together farmers who have the same goals; they all want to farm and to make money and it has nothing to do with politics,” said Melouney. “At stock sales, farmers get to meet famers from neighbouring communities as fellow sellers and buyers, thereby connecting them and giving them the opportunity to see and understand that even if their cultures are different, their needs and wants are issues that unite them. It means that they get to know each other, then maybe they bump into each other at the local Co-op at a later stage, are able to greet each other and so the divide is narrowed and real change starts to happen,” said Melouney. Chairperson of the Howick Districts Landowner’s Association (HDLA) in Lions River, Keyan Carlisle, says that the formalisation of the informal sector has given small scale farmers and traders access to convenient, market-related prices and commercial farmers access to more buyers. “It is a win, win situation for everybody and the by-product is the bringing of farmers from across the cultural divide together, enabling “both sides” to see the benefits of working together. It is a good example of how a commercial venture, by benefiting everybody, is healing the social divide,” said Carlisle. CEO of Kwanalu, Sandy La Marque commended all involved for their role in driving change in the sector. “This approach is truly beneficial to all parties; the integration of all farmers at a local level which brings about economic growth and unity of purpose should be supported and explored throughout the province,” said La Marque.